Paul Mercurio’s recent gentle rebuke of James Davidson for having called Matilda Bay THE ONE remaining success story of the 1980s brewing boom has reminded me that not everyone who now drinks, enjoys, writes about and even makes their own beer was old enough to do so in the late 1980s. Those who were, like Paul and myself, may even be in the minority these days. Davidson’s sin, if we can call it that, was to forget, or even to be unaware, that Matilda Bay is not the only survivor from that brief period from the mid-1980s to the early 1990s when new small breweries, many based in pubs, popped up all around the country. This phenomenon greatly excited many (although perhaps not enough) Australian beer drinkers, who had become accustomed over many decades to seeing the small number of large breweries in this country grow even smaller, and old and familiar brands disappear from tap and fridge. Sydney’s iconic Lord Nelson, one of the survivors of the ‘first wave’ of small brewing. Having visited most of the 50-or-so new small breweries that comprised that first wave in and around the late 1980s, and, more significantly, having watched most of them disappear over the subsequent two or three decades, I figure that I’m in as good a position as anyone to describe what happened to them, and, more importantly, to answer the vital question ‘how many of these pioneering microbreweries remain in operation?’ Before beginning, I must state that it is arguable exactly when the first wave ended and the second wave began, but, for reasons that make good sense but that I don’t have space to justify, I have used 1995 here as the boundary year. Although the Matilda Bay name has persisted as a beer brand, neither of the first two breweries to have carried the name have survived. The first Matilda Bay Brewery opened at Nedlands in 1985. It was replaced by a larger brewery at North Fremantle in 1989, and that closed in 2007. Since then the Matilda Bay beers have been brewed in various breweries in other states. The Sail and Anchor Pub Brewery, Matilda Bay’s sister brewery, started in 1984 and ceased brewing in 2010. Of the several other breweries that started in Western Australia after 1984 and before 1995, all but two have ceased to operate. The two survivors are the Elizabethan Village Brewery (now known as the Last Drop Brewery) at Armadale (started in 1992) and the Bootleg Brewery at Willyabrup (1994). In Victoria, brewing began at the Old Ballarat Brewery some months before the Sail and Anchor came into production in Western Australia, giving it the right to the title of Australia’s first modern microbrewery. Its life, however, was much shorter than that of the Sail and Anchor; brewing ceased at Old Ballarat, by then renamed Sovereign Brewery, in 1990. A dozen other breweries started in Victoria after the Old Ballarat and before 1995, but only two of them are still in operation. The Grand Ridge Brewery, which started life as the Strzelecki Brewery in 1988, is still brewing at its original premises at Mirboo North. 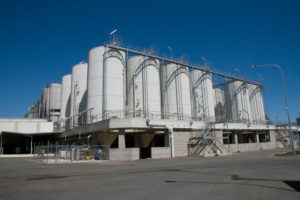 Also in 1988, the Geelong Brewery opened at Moolap, near Geelong. It is still in operation, although it has been known as Southern Bay Brewery in recent years. Of the several small breweries to open in South Australia in the late 1980s and early 1990s, only one remains in operation—the Port Dock Brewery Hotel at Port Adelaide. 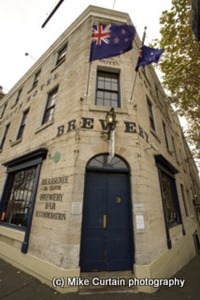 Brewing commenced there, and at two other Adelaide pub-breweries, in 1986. Twelve new breweries started in New South Wales during the first wave, the earliest of them in 1987. One was Scharer’s Little Brewery at Picton, where on-site brewing ceased a couple of years ago, and the other was the Lord Nelson, where brewing continues. In fact, more than four thousand batches have been brewed at the Lord Nelson over the last twenty-five years. The pub started selling Victory Ale in November 1986, but this had been brewed at the related Port Dock Brewery Hotel in South Australia. Brewing on-site at the Lord Nelson commenced in March 1987, and at Scharer’s Little Brewery at Picton a few months later. Two other breweries from the first wave are still in operation in New South Wales. One is the Old Goulburn Brewery, a little extract plant installed in 1990 at the historic former Tooth and Co. brewery at Goulburn. The other is the Hahn Brewery at Camperdown, opened in 1988 as an independent business, but now part of the Lion brewing empire and renamed the Malt Shovel Brewery. CUB’s Yatala brewery is more than 20 times larger now than when it began life as Powers Brewery in the 1980s. 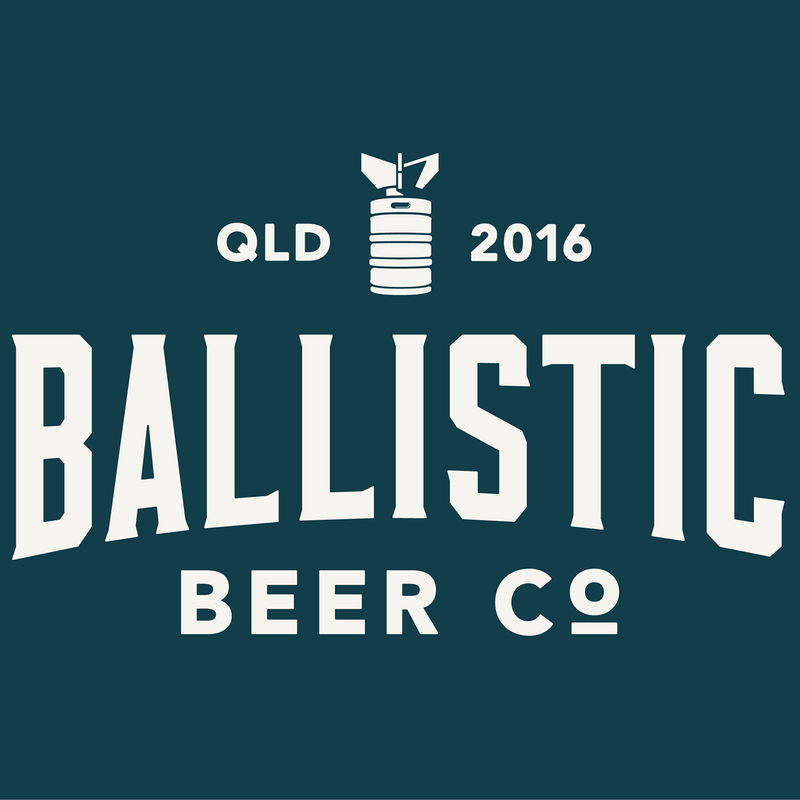 Six new breweries opened in Queensland during the late 1980s and early 1990s, but only one of them is still functioning. It has, however, been transformed beyond recognition. I am referring to the Power Brewery at Yatala, in Brisbane’s southern outskirts, which came into production in 1988. It was eventually taken over by Carlton and United Breweries and became the focus of that company’s brewing activities in Queensland. It is vastly bigger now than in Bernie Power’s time. Three small breweries arose in the Australian Capital Territory during the first wave, and one of them has survived—the Wig and Pen, which opened in 1994. For the sake of completeness, I should add that three pub breweries were established in Tasmania (2) and the Northern Territory (1) in the late 1980s, but all have ceased to function. In summary, ten of the small breweries from the first wave are still in operation: two in Western Australia, two in Victoria, one in South Australia, three in New South Wales, one in the ACT, and one in Queensland (although it is no longer small). The oldest of the ten, the Port Dock, has now been in existence for just on twenty-six years, and the youngest, Bootleg, for eighteen years. All, by virtue of their persistence for this length of time, must be considered ‘success stories’. The first wave, however, has now been reduced to a ripple, fewer than twenty per cent of its total number remaining in operation today. I was posted to Melbourne late 1987 and Billy Bell was brewing in his pub before then. Pub is in South Melbourne. Congratulations Brewsnews and Dr Stubbs on this article. I enjoyed too Stephen Holden and James Davidson’s articles re craft beers as well as the input from Paul Mercurio. They all help to give perspective on the rise and rise of craft brewing here. Who isn’t enjoying it? Well perhaps the major brewers haven’t to date. The history of the growth of craft brewing is writ against a backdrop of major state-based brewers which were built to cater for their entire state market. Yep: 100%. Everyone in Queensland was supposed to drink XXXX and everyone in WA to drink Swan. Remember Swan and Emu brands? While that spare capacity is difficult to switch over to small-batch brews, the big brewers have certainly not stood still as Matilda Bay, Little Creatures and James Squire underline. And now we have to add major retailers Woolies and Coles into the mix as Dan Murphy’s involvement in Sail & Anchor and Gage Roads brands shows. Yep it’s certainly an interesting time for craft brewing in Australia – however you define it. Thanks to those who are adding historical context to it. It’s valuable. As a side-line beer commentator I really appreciate it. Thank you all.